[I]t was Stern, former chief World Bank economist, who on Saturday laid out a case to his stranded companions in sobering PowerPoint detail. If the world’s nations act responsibly, Stern said, they will achieve “zero-carbon” electricity production and zero-carbon road transport by 2050 — by replacing coal power plants with wind, solar or other energy sources that emit no carbon dioxide, and fossil fuel-burning vehicles with cars running on electric or other “clean” energy. 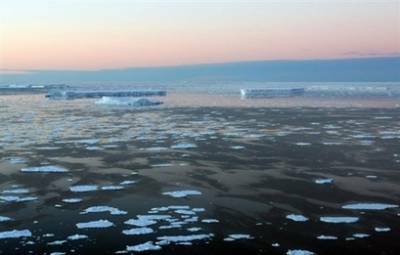 Then warming could be contained to a 2-degree-Celsius (3.4-degree-Fahrenheit) rise this century, he said. 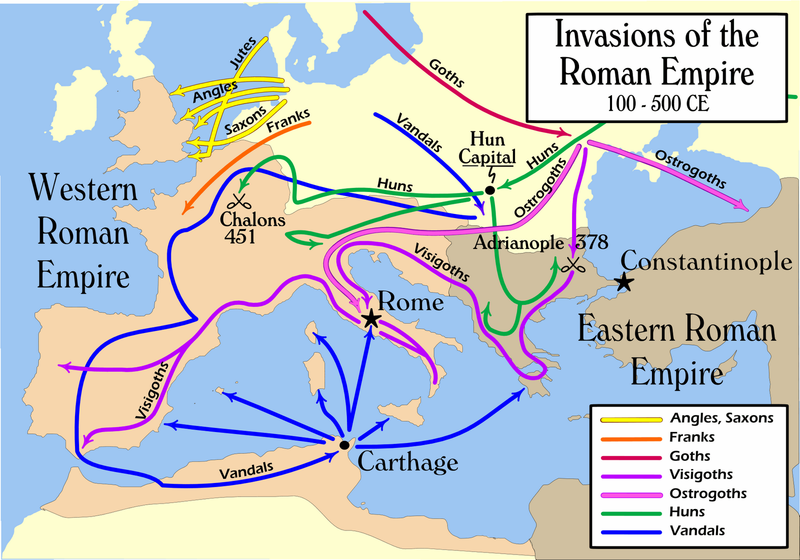 This was what destroyed/changed/forced into retreat the western Roman Empire. It’s what led to the invasion and settlement of Britain by Angles, Saxons and Jutes (and the subsequent fleeing of Britain by the British to Brittany). Basically, it was the precondition that led to Hild. Yes, I’m being simplistic. People can argue til the cows come home about politics and war, famine and plague, volcanos and earthquakes, cause and effect, but I see it all as water circling the same plug hole: climate. Climate–whether influenced by all that Roman metal processing and forest clearing, or part of a natural cycle, or catastrophically altered by volcanic eruption–will work upon sea levels, temperatures, breeding and mutation rates of disease, animal migration, crop production, which will in turn lead to starvation and disease, and mass migration. Migration leads to conflict–to war, small scale or large. The fifth and sixth centuries in Britain used to be called the Dark Ages for a reason. (We don’t call them that now, because we have learnt to interpret evidence, historiographical and archaeological and linguistic, well enough to shed some light on the era. Now we call it Late Antiquity, or Sub-Roman, or Early Medieval, or the Heroic Age.) For a good chunk of the population, these were grim and uncertain times. Britain lost literacy, central heating, medical care, road maintenance, currency, centralised manufacturing. (It gained other things, such as sophisticated weaving skills, fantastic metalwork, expertise in wood working, new farming methods, and more.) But the change was profound. Frankly I worry about history repeating itself. *sighs* I worry as well. Humans always behave badly when they think others are moving into their territory. This does not sound positive by any stretch of the imagination. Doom and gloom……..
What happened to the comment I left this morning? I am crazy I think, commenting in wrong windows or whatever! I don't think people can be trusted to behave rationally– I don't think people's brains are built to understand the magnitude of human accomplishment. For every scientist telling people about dangers, about historical precedent, there is a bussiness person saying the opposite, & in the world today, bussiness beats science, sadly. On top of that, there are ten thousand lethargic people who won't do anything. Besides consume.No, I don't think the time scale will be visible to the average person. Rome will fall but it will seem just like another day at the office. For a second, I thought the upcoming Newer Deal would do for green what the last project did for highways, but it doesn't seem that way, now. Factor in David Montgomery’s work on soil and the life span of civilizations, and note that much of the relocation forced by climate change will be to areas of poorer soils–and that the oil-dependent methods of agriculture currently in use are already failing–and the prospects just look uglier…–P. Adapt or die. We obviously have a very hard time educating people or even getting them to pay attention. The perspective of history is ironic and rational. The perspective of our very own time is often ambiguous and chaotic. Hopefully, we will wise up. Someone recently told me: The world will be fine. It’s us who will suffer.I’m not sure I exactly agree with that. The world will exist. So will we. But existing and existing well are two radically different things.I’m writing a futuristic and constantly fretting over how the climate pressures will affect our already ugly prejudices and motivations. Well, it is very scary! I don't think it's depressing, exactly. But it is something to be mindful of when making long-range plans. (Hence my intention to slap deer fence around 3,000 square feet of the back yard next month…) ;->–P.